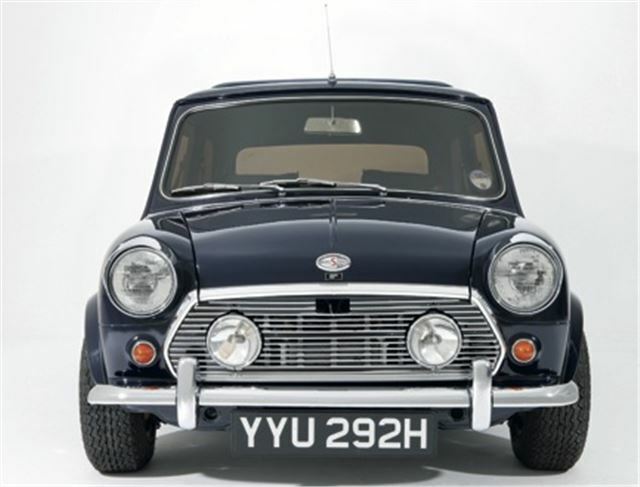 Star of Barons Classic Car Auction at Sandown Park on 18th December is a Wood & Pickett Mini, the favoured car of rock stars of the 60s and 70s. This is believed to be unique as the only Wood & Picket Cooper S (v/s Cooper) ever built. The car has had just six keepers from new; three of whom were the same man. The vendor first acquired the car in 1973. He used to drive around in it with Steve Marriott of Small Faces and Humble Pie fame, who described the Mini as ‘a 100mph pair of shades’. In the late 70s the vendor sold the car to Denny Lane (of Moody Blues and Wings), but after just eight months he bought it back to restore it. In the early 1990s he sold the car again, but asked the buyer to give him first refusal should he ever want to sell. A few years later he got a call saying the Mini was for sale, and he bought it back for a second time. The car has since been the subject of a nut and bolt rebuild and is in superb condition. It carries an estimate of £27,500-£35,000, and represents a chance to acquire a unique little machine with a fascinating provenance. All the buyer needs to drive back in time is a Les Paul guitar and a pair of flares. Other 1960s rarities in the sale include a magnificent 1966 Ford Thunderbird Convertible with 7-litre 428 Cobra Jet V8 engine (£15,000-£25,000) and a charming little red and white 1969 Fiat 850 (£2,750-£3,750). The sale also features a number of cherished registration numbers, including ‘OO07 CAR’ – which could make an ideal Christmas gift for a James Bond fan (£5,500-£7,500). To consign a car to the Yuletide Classic sale, or to be kept informed about entries as they are confirmed, visit www.barons-auctions.com, or email info@barons-auctions.com.